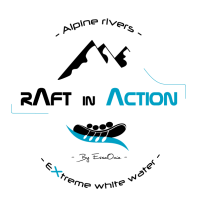 A course for the specialist and crazy about HYDROSPEED! Embark on the Doron de Bozel in HYDROSPEED and have a unique experience. Usually proposed in RAFTING, this and the rapids going one after another. Departure will be at the Velodrome rapid or at the Swimming pool depending the water level and the level of the participants. This course is one of the most intense of the Northern Alps. 4 breath-taking kilometres, the waves and rapids move very quickly. Meeting at our white-water base of Centron in the valley of the Tarentaise in Savoy for an afternoon in a small group (1 guide for 4 persons MAXIMUM) and have a MAGICAL and UNIQUE moment! Located at 45 min from Chambery, 1h from Grenoble, 1h15 from Annecy. Sporty people, very good swimmer, having practiced sevral times the activity.  It is recomanded to have already sailed with the "Raft in Action" team so that the guides validate your sailing level. After equip ourselves at our base with the material required and about fifteen minutes’ drive, we begin by checking the water levels to determine the boarding place. "Rapide du Vélodrome" or "Chute de la Piscine", whatever the boarding place chosen, the departure put you in the atmosphere: The Doron is an uninterrupted succession of waves, rolls and falls! It goes fast, very fest, no time to blow between two rolls, and do not forget to raise your head, open your eyes to spot the direction to follow. The first stop is welcomed and allows to catch your breat, then the guide can count his "little ducks" and gives some technical advises. Everybody's here, ready? We get back on the current and there we go! It goes without interruption during 4 km! With less than 2hours of intense, beautiful surfs and rapids chained, we finish full! If you're a HYDROSPEED fan, the experience on the Doron de Bozel is to live intensely!